Quickly register attendees for the event when they show up at the door, email or send in paper event registration form. Quickly register attendees for the event when they show up at the door or send in paper registration forms. You can enter their name, contact information, answer the custom questions and select the type of ticket they purchased. You can even enter additional attendees as part of a group. In Event Espresso 4, adding an attendee manually for an event via the Event Espresso admin is just as simple as it is on the front-end of your website. 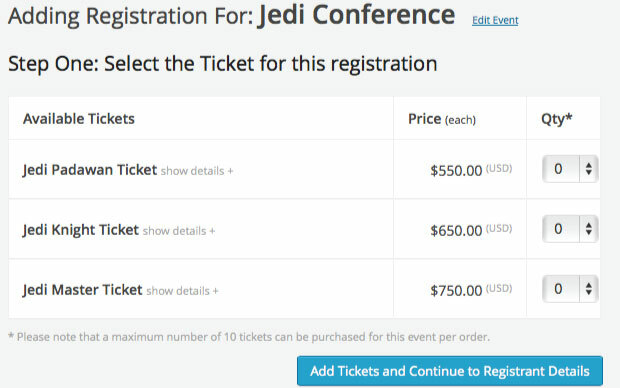 Event managers are given the option to send the same confirmation emails that have been configured for that event, just as if the attendee was registering themselves on the website. 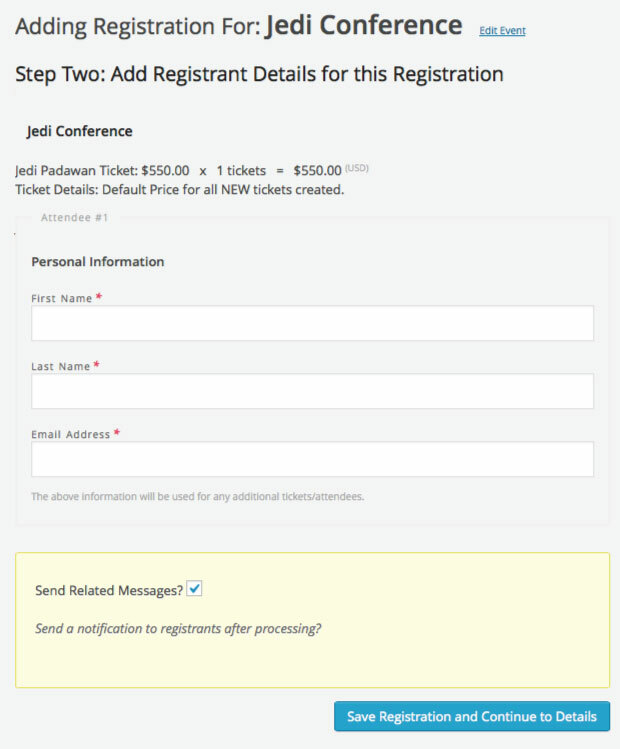 The reason this is an option among the steps is that if you are registering attendees on-site, they may not need all the same email messages. You can still send all the same emails manually if needed. The second notable exception is that the third step in the process is Payment. 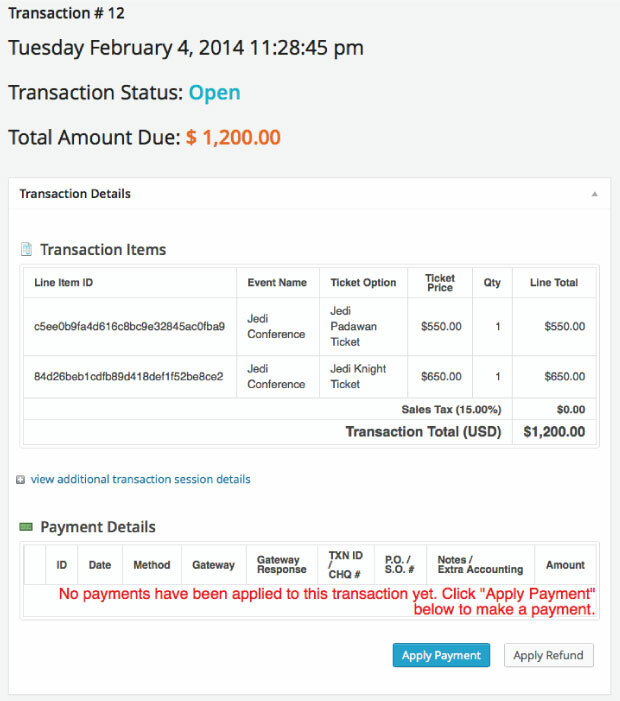 Manual registrations ask for payments just like the front-end, but the admin needs to apply these payments themselves or send the payment reminder email to the manual registration that had just been submitted without payment. Never miss an opportunity to fill your event; have the confidence to add capacity. Keyword rich url event pages is just one of the innovative things we do to help attendees find your events. It’s invaluable to know who your customers are and how you’ve done business together.